Over the years, the Docklands have had their ups and downs, but the development at and around Canary Wharf has transformed this area and restored its role as a pivotal part of the capital’s fortunes. Much of London’s success in history has revolved around the Thames and the city’s access to water. It wasn’t until the 17th century, however, that Londoners started to seriously use the water access of the East End. In the 1690s, a dock was built at Rotherhithe. This location worked so well that further docks were built close by, including West India Dock and St Katherine Dock. The Docks attracted workers from all over the country and, indeed, all over the world, making the East End a densely populated area, full of different nationalities and cultures. Although the businesses that ran from the area’s docks helped promote London’s commercial businesses, this was not a wealthy area and it suffered from problems with poverty and crime. During the Second World War, the docks made the East End a prime target for German bombing raids. If you shut down the docks, you made life difficult for all of the UK and not just London. It is estimated that the Germans dropped around 2,500 bombs into the area, destroying a lot of the dock areas and local housing. There was some rebuilding work after the war and the docks continued to operate. But, by the 1970s, cargo transportation caused problems that the East End’s docks couldn’t recover from. 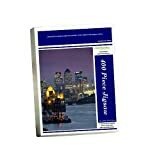 The city’s docks were not big enough to deal with container ships and much of London’s industry moved out to ports with deeper water access. By the 1980s, all of the East End’s major docks had closed down. This caused locals a lot of problems. Unemployment rocketed and the area once again became known as a problem place in social, economic and crime terms. 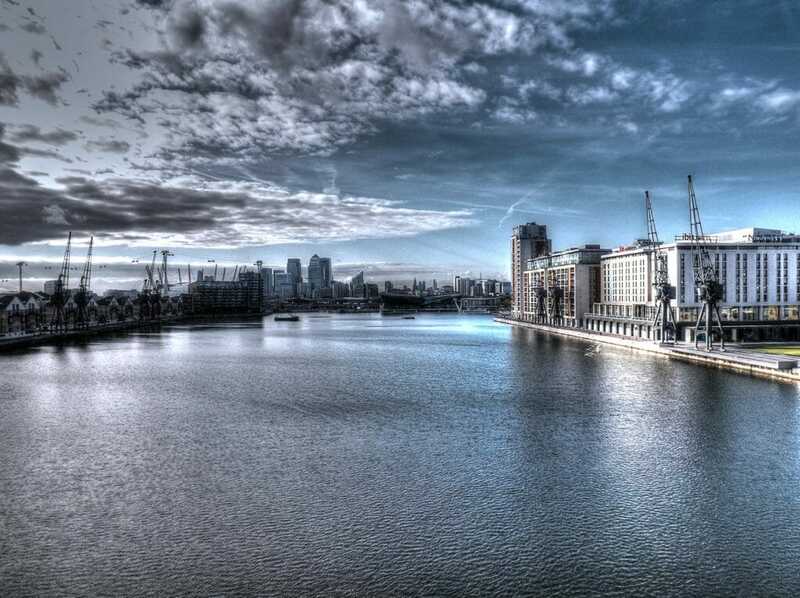 Real estate in London is always at a premium and the land formerly used by the East End’s docks were not ignored when their businesses closed down. However, the land was owned by a variety of companies and nothing could be agreed on for many years. 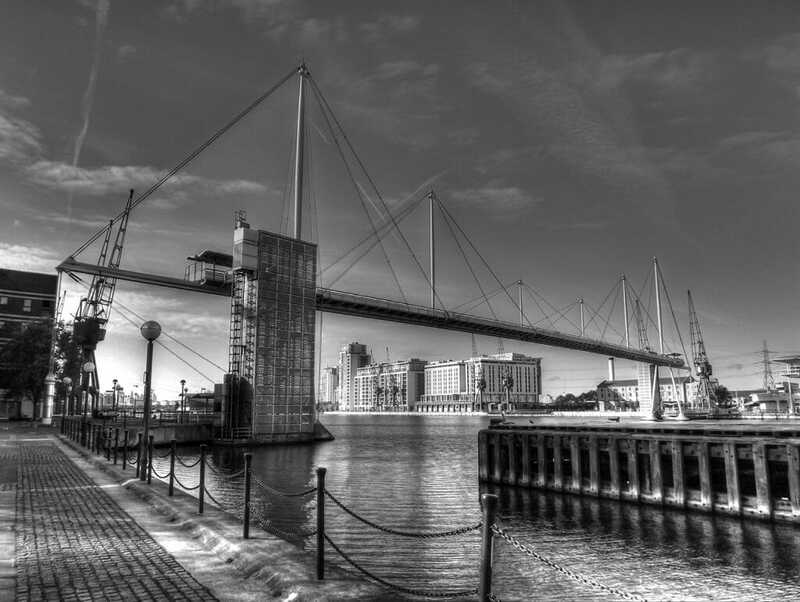 In the early 1980s, the government set up the London Docklands Development Corporation to try and pull things together and make something happen. It also set out new business rules for the area. 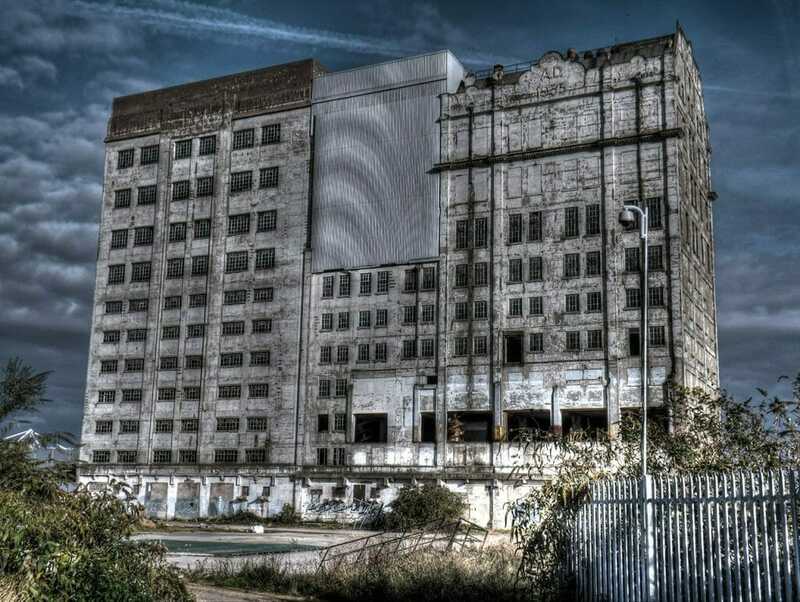 These included tax exemptions and capital allowances – this made the land immediately more attractive to businesses and probably kick-started the whole redevelopment phase. One of the greatest needs in the area was new housing. The LDDC wanted to sell some of the land for housing development, but this was not necessarily what the local East Enders had hoped for. The Docklands became home to luxury and expensive housing developments that offered predominantly private rather than social solutions. The LDDC also wanted to bring business back into the area and took on a project to build what became known as the Canary Wharf development. 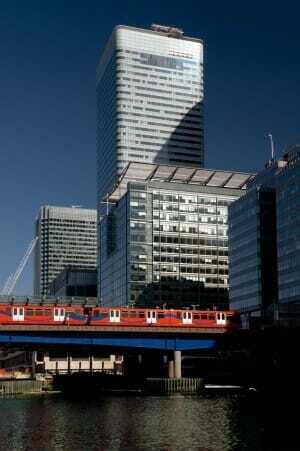 This ultimately made the East End one of the financial hubs of the country and gave it the impressive Canary Wharf building at One Canada Square. This is now one of London’s iconic landmarks – it was originally the tallest building in London, but is now the second tallest. Bringing in global businesses and building luxury housing would only work if the transport links in and out of the Docklands were improved. The area now has its own railway connecting it to central London, the Docklands Light Railway or DLR. This railway is famous for its driverless trains. The area also now has a tube connection on the Jubilee line. Although the redevelopment of this area was unpopular with many locals who felt they were being edged out of their homes, it has brought a certain boost to the East End economy and to other local areas. 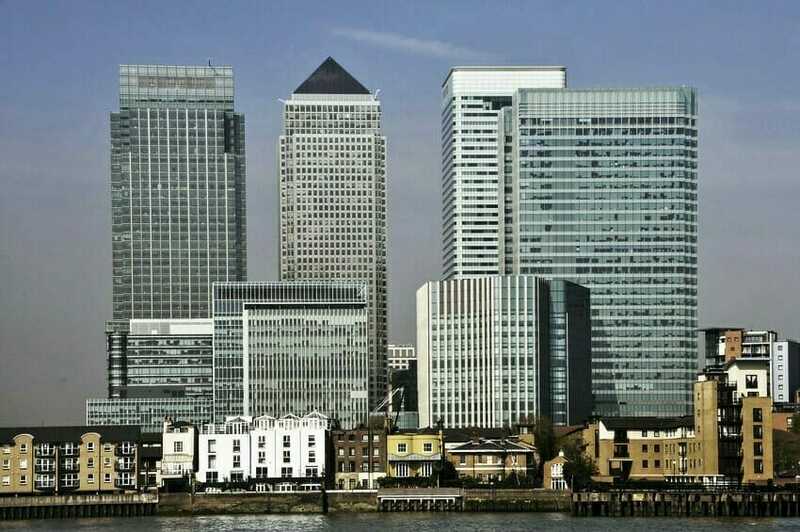 Thousands of locals working in the Tower Hamlets area are now employed at Canary Wharf and there is no doubt that the redevelopment has boosted the number of jobs available locally. As the financial centre became established and increased, people needed more homes and development has spread further than originally planned. This has led to some gentrification of other Docklands areas. Many East Enders, however, feel that the redevelopment has had a negative effect on the areas in which they, and their families have lived for years. Some do live in social housing in the Docklands, but their conditions may not have improved much and many feel that the redevelopment plans ignored their needs. I moved to Bethnal Green from Marylebone when my employer, The Daily Telegraph, moved from Fleet Street to Marsh Wall by South Quay DLR station. I was pestered from the outset by Human Resources to say that I was a Tower Hamlets local being employed in the Docklands Enterprise project. When the Telegraph moved to One Canada Square the pressure increased. I always stated that I had immigrated from Bristol via digs in West London when offered the job in 1987. But I have be always suspected that my feedback was not helpful to the image makers in so far as they wanted to demonstrate local labour being gainfully employed. In the 1990 this was largely a myth. Cleaners and caterers perhaps. For my part, I played a small but real role in the gentrification of Globe Road in E2. This is a stock photo and the terms of legal use state I cannot permit re-use of the image, sorry.